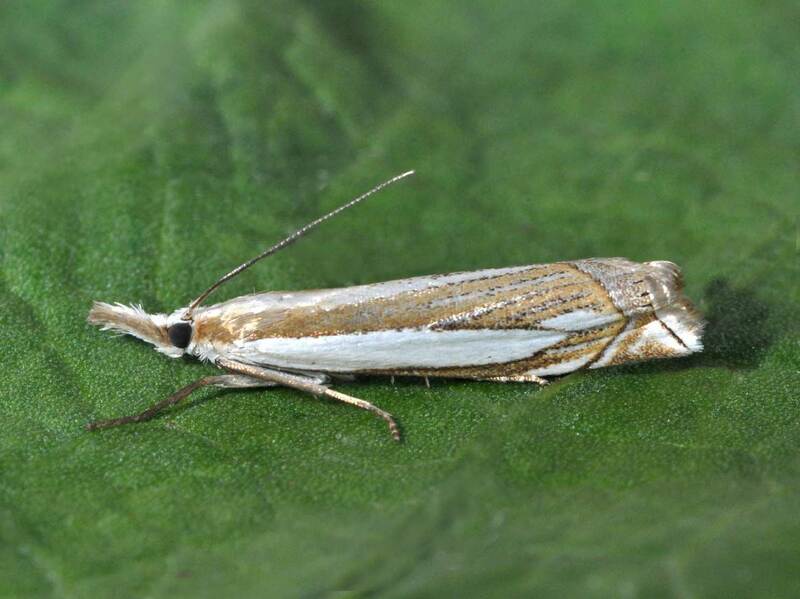 Crambus pascuella is a grass moth with the typical elongated shape enabling it to perch inconspicuously along a grass stem or leaf. Much more strikingly patterned than the Garden Grass Veneer, it has a broad shining white longitudinal streak along most of its forewing, but also with a similar elbowed cross line at the rear as the commoner species. Easily disturbed by day.